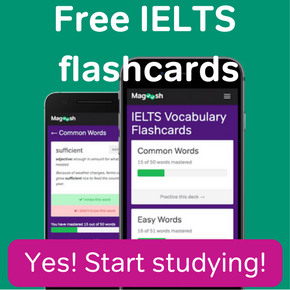 offers IELTS practice questions and videos. Sign up for Magoosh Academic or General Training prep or log in. If you’re taking the IELTS, there are two types of IELTS exam cancellation that you should be aware of: cancelling test dates and cancelling test scores. There are a few very different reasons you might cancel an IELTS test date. Maybe you need to reschedule your IELTS for a different time due to schedule conflicts. Maybe you’ve fallen ill or had some other emergency shortly before the test. Or perhaps you’ve simply decided not to take the IELTS anyway. The IELTS has rules that cover these varied reasons for cancelling an IELTS test date. First, if you want to be guaranteed a refund on your IELTS, you need to cancel your testing session at least five weeks before its date. 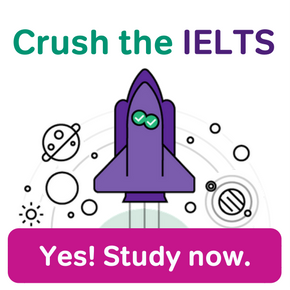 If you cancel a scheduled IELTS exam at five weeks (or longer) in advance, you will get your money back…. Or you’ll at least get back 75% of your IELTS booking fees. IELTS will still keep the remaining 25% of what you originally paid as a cancellation fee. If you give the IELTS less than 5 weeks notice when you cancel, you aren’t guaranteed a refund. However, you may still be able to get a refund with short-notice cancellation if you cancelled due to illness or injury. To apply for a short-notice refund on a cancelled IELTS, you’ll need to provide acceptable documentation of your health problems. One additional important policy to know: the rules for cancellation and refunds are the same whether you are cancelling and rescheduling, or are just cancelling. Rescheduling your IELTS doesn’t make you any more eligible for a refund. Moreover, you can’t simply transfer the fees from your cancelled session to your new, postponed IELTS registration. Cancellations of test dates are handled by local IELTS testing centres. As a result, you need to go to your regional IELTS website to download the IELTS exam cancellation forms and get instructions on where to send the forms. To give just two examples of regional web pages for this, here is the IELTS exam cancellation page for IELTS Toronto, and here’s the IELTS exam cancellation page for the British Council in India. If you’re not sure where to find your local IELTS cancellation instructions online, contact the IELTS centre where you booked the exam. A different kind of cancellation need can arise once you’ve actually taken the IELTS test. Sometimes, your scores are much lower than you had hoped, and you don’t want universities to see them. While most standardised exams let you cancel disappointing scores, the IELTS does not. Here’s the good news, though: generally, universities only care about the highest score you get. So if your score is far too low, you can simply retake the IELTS for a better score and still get accepted to university. Do I have IELTS Exam Eligibility? How Many Hours Should I Study for the IELTS? Should I Take an IELTS Class? Why Is the IELTS Exam Required? Can I study for the IELTS in one week? David is a test prep expert at Magoosh. He has a Bachelor of Social Work from the University of Wisconsin-Eau Claire and a Masters in Teaching English to Speakers of other Languages from the University of Wisconsin-River Falls. He has been teaching K-12, University, and adult education classes since 2007 and has worked with students from every continent. 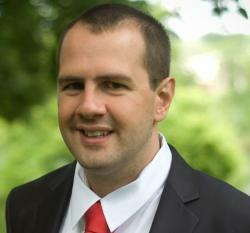 Currently, David lives in a small town in the American Upper Midwest. When he’s not teaching or writing, David studies Korean, plays with his son, and takes road trips to Minneapolis to get a taste of city life. Follow David on Google+ and Twitter! My exam is held on 26 august in ludhiana.and i am from ambala.there is a big issue ragarding my reaching to ielts test centre.because of baba gurmeet ram rahim hearing in c.b.i court panchkula; all the roads will be blocked. This is a court orders that not a single vihcle are allowed on roads from 24 august to 26 august.because 25th is a judgement day and anything can happen.public who love baba rahim will take action.and i think noboday can reach to their ielts centre.i war can be held .so what can i do? Can i defer my exam?? You need to contact your exam center and the British Council to find out what can be done. We wish you luck! I have registered for the IELTS academic mistakenly actually had t register for IELTS UKVI. Can you please guide me what should I do since my exam is on 2nd August and I am left with less than 5 weeks so cannot ask for the refund. I will be really thankful if you can guide me. Actually Fariza, you can still get a refund. But with less than five weeks left, you’d get a refund of 75% of your fees, rather than a full refund. Under your circumstances, I think it might not hurt to ask for an exchange. By this, I mean that instead of getting your money back, you see if you can apply your original fee to the IELTS UKVI fee. To see if this is possible, call your test center, explain the situation, and ask. When you call your test center, you cold also check to see if a full refund is possible. and exchange or fill refund are not guaranteed, of course. But it never hurts to ask! My name is Suhrob and i’m from Uzerkistan. My IELTS exam is gonna be held on October 13th, in my mind i am not confident enough whether to take the one, as my writing is poor. There are 23 days left till my exam. Nowadays Im thinking about putting off or cancellation, what can you say about this please help me. Full refund is not guaranteed, right? Beceause you are within 5 weeks of your test date, you will only receive a partial refund. I recommend that you contact your testing center for more information! My exam date is 23 March 2019, but I am not fully prepared for it. Can I postpone my date normally or I need to give some strong reason for it. Help me please. You can definitely cancel and postpone your date this short notice. The only downside of this is that you are not guaranteed a full refund if you cancel less than 5 weeks in advance, as mentioned in this article. But again, you definitely can cancel and reschedule at any time before the test date! I’ve registered for ielts general, I still have 50 days time for my exam, now i want to cancel it, shall i get any refund, since i don’t have any medical reason to fill in the cancellation form, i just don’t want to take the exam, sending just the cancellation form without reason will be considered by British council for refund? I have registered for IELTS but couldn’t pay for it through online method as my card didn’t support international transactions. How can I get the registration cancelled immediately so that I can re-book asap using an international card? How stressful! In this case, you should be able to simply go in and cancel– you haven’t paid for anything yet, so you won’t lose money on the cancellation. Or you may be able to ignore that previous registration, since it’s incomplete and unpaid for, and just do a new registration. 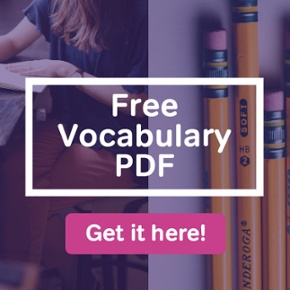 Magoosh blog comment policy: To create the best experience for our readers, we will only approve comments that are relevant to the article, general enough to be helpful to other students, concise, and well-written! 😄 Due to the high volume of comments across all of our blogs, we cannot promise that all comments will receive responses from our instructors. We highly encourage students to help each other out and respond to other students' comments if you can! If you are a Premium Magoosh student and would like more personalized service from our instructors, you can use the Help tab on the Magoosh dashboard. Thanks! IELTS® is a registered trademark of University of Cambridge ESOL, the British Council, and IDP Education Australia. 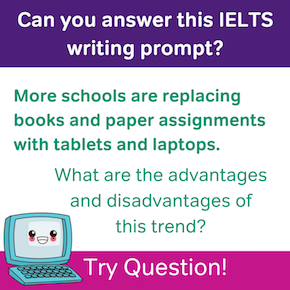 © 2019 Magoosh IELTS Blog. All Rights Reserved.